Eri n Tollison joined the Junior League of Atlanta in 2009. Since then, she has served within the community – her first placement being Kate’s Club – but has found her calling within the League sitting on the Shamrock ‘N Roll committee along with the Marketing and AP Councils. Erin found herself in Atlanta after graduating from the School of Journalism and Mass Communication at The University of North Carolina at Chapel Hill. She has worked within Account Management for both large, international and small, local ad agencies. 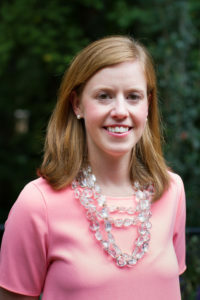 An avid runner and lover of Tar Heel sports, Erin resides in Brookhaven with her husband, Matt, and daughter, Caroline.